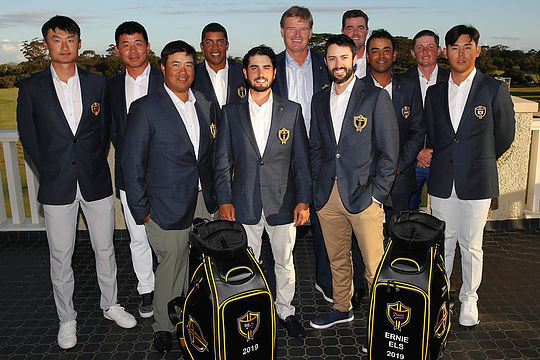 Presidents Cup International captain Ernie Els has cast the net far and wide in naming two former US Masters champions and an icon of the game as his deputies for this year’s Cup at Royal Melbourne. Els has announced Canada’s Mike Weir, South Africa’s Trevor Immelman and South Korean K.J. Choi would join local boy Geoff Ogilvy as they take on the might of the Americans from December 9-15. Weir won the Masters in 2003 while Immelman won it in 2008 and Choi has become something of a legend in the game through his sterling efforts on the US PGA Tour over the past 24 years. Choi is actually doing his second stint as vice-captain after also filling that role for Nick Price in 2015 when the Cup was played in Korea. This will be the third time the Cup has been played at Royal Melbourne – the only course where the Internationals have been able to win it. Els explained that as the most successful Asian golfer on the PGA Tour he knew that ‘K.J.’ commanded a lot of respect among his players and he believed would fire up his team at Royal Melbourne. Choi admitted he was happy – and honoured – to be chosen. “You need amazing teamwork to win the Presidents Cup,” he said.